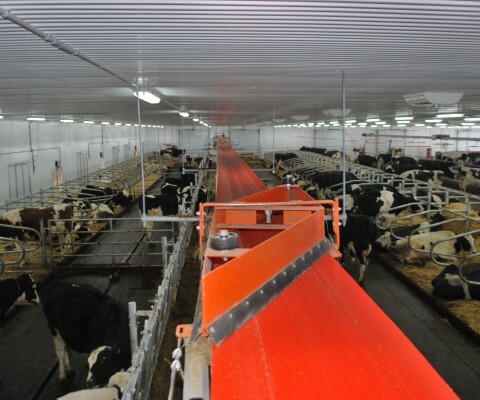 The valmetal feeder allows you to feed your herd with exceptional quality feed thanks to its ingenious operation, the low maintenance requirement and high level effeciency. 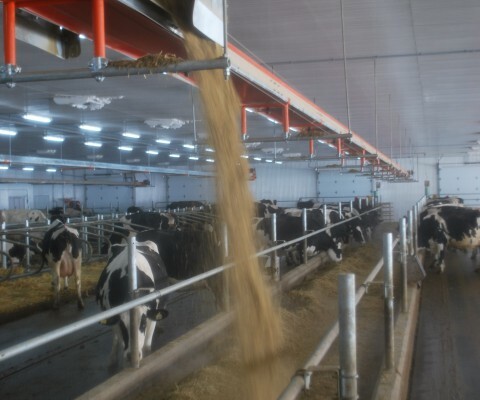 From the mixer to the cow, the TMR keeps its uniformity and its consistency. All forage, grains, protein supplements, vitamins and minerals remain mixed as during the unloading, regardless of the lenght of the travel. The cow is not able to sort out individual ingredients and must eat the very important, but less tasty roughage, along with the rest of the ration. 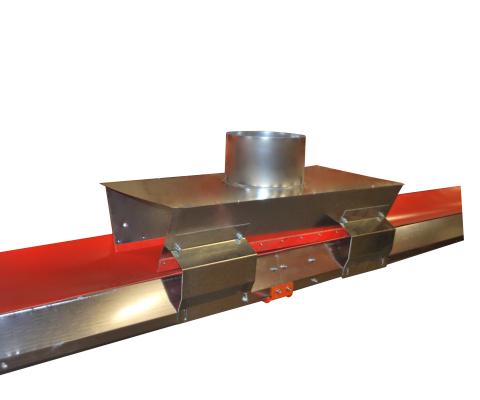 No matter where the conveyor is installed, (inside or outside), above mangers or suspended from the ceiling, Valmetal feeder conveyors offer flexibility and efficiency, while ensuring an uniform feeding. 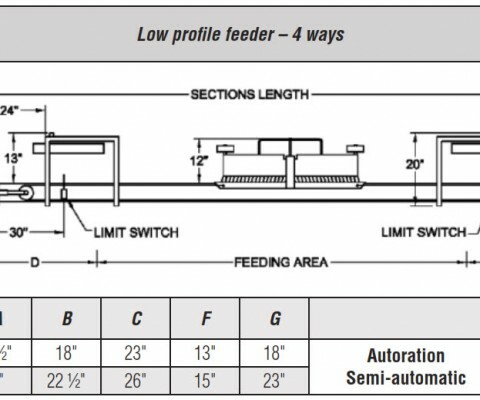 The Belt Feeder is the perfect way to automate your feeding. 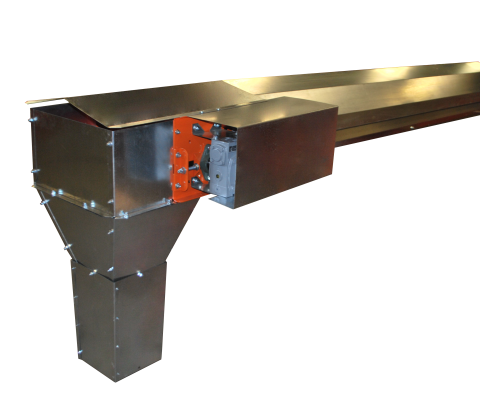 Feeder conveyors are safe, simple and thoroughly economical. 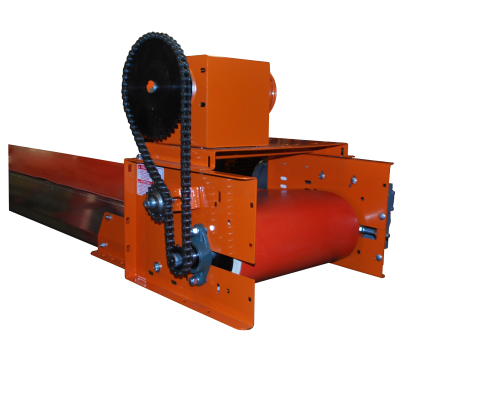 Valmetal regular belt feeder requires only one motor to drive belt and plow. 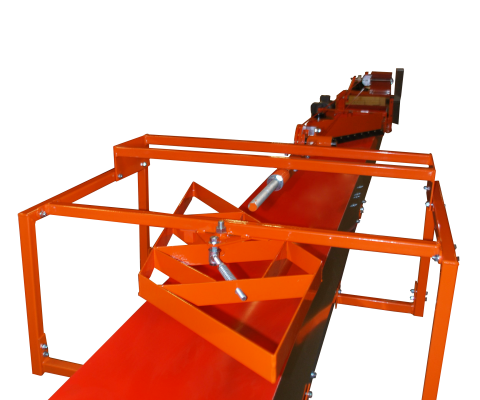 The conveying belt moves quickly in one direction while a plow drops feed in the bunk. 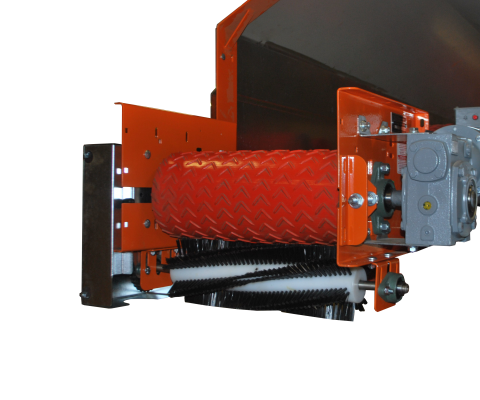 The plow reverses at each end of the feeder automatically and smothly with the reliable continuous loop cable drive. 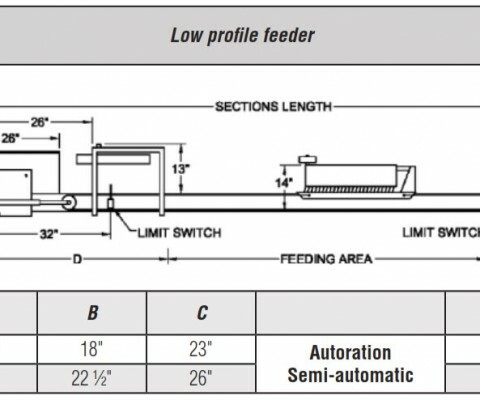 To provide split-lot feeding the lenght of the bunk, a mechanical “tripper” switches the feed diverter automatically every complete revolution of the plow. The model allowed to convey and distribute food up to 200 ft. 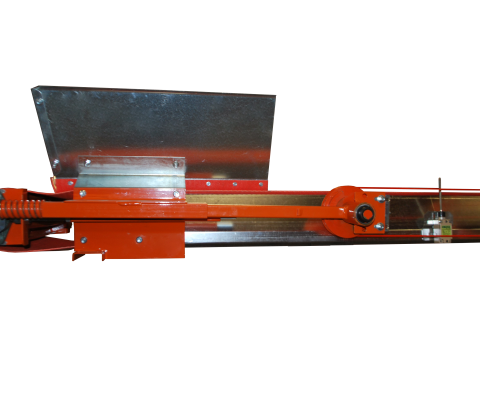 The low profile model provides the same characteristics and benefits; in addition, it features an independent plowdrive system with an instant reversing motor, which allows delivery of different rations to different groups of cattle. 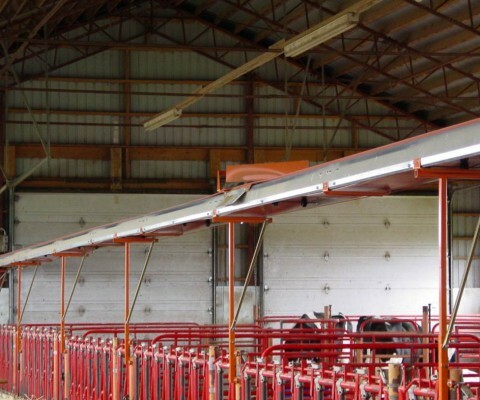 Its design makes it the ideal feeder for in-barn installation. Suspended from the ceiling, it requires only 14” of height. 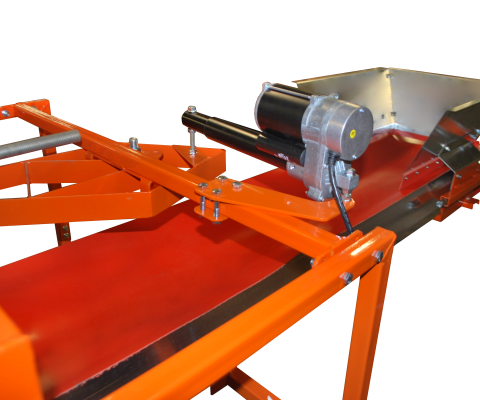 The large counter rotating brush is recommended with textured belt to remoxe fines. 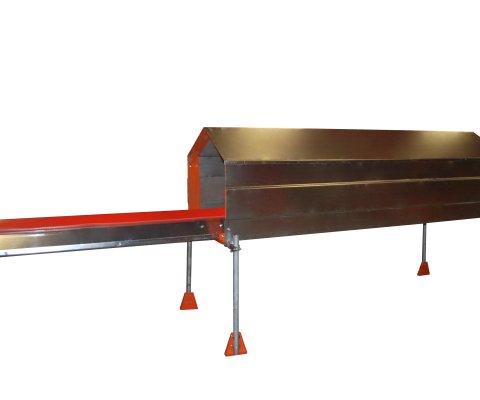 Made of galvanized steel, it allows to protect the food and the conveyor from wind or rain (for belt conveyors). 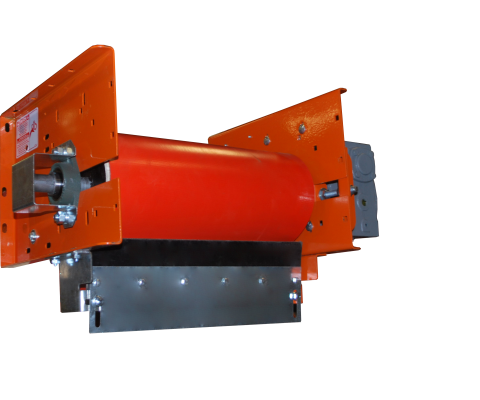 Allows to check the effective rotation of the conveyor drive in case of automated feeding. 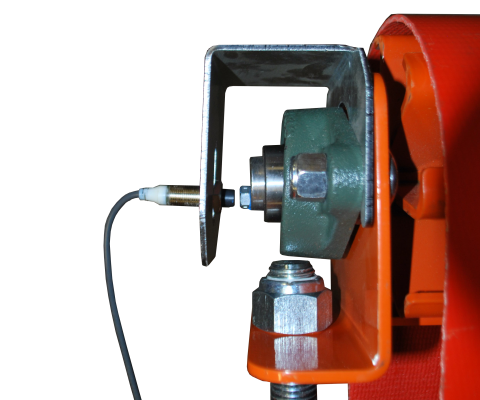 It allows a central loading in case of center feed kit. 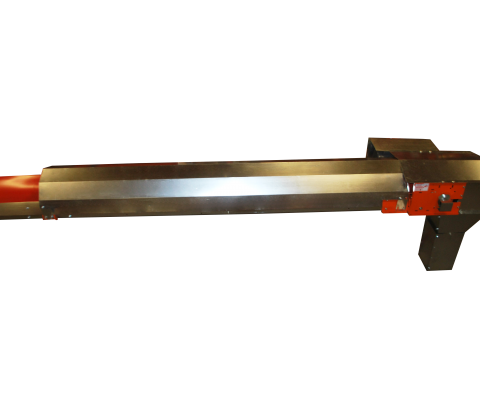 For clean removal of fines on standard belt. 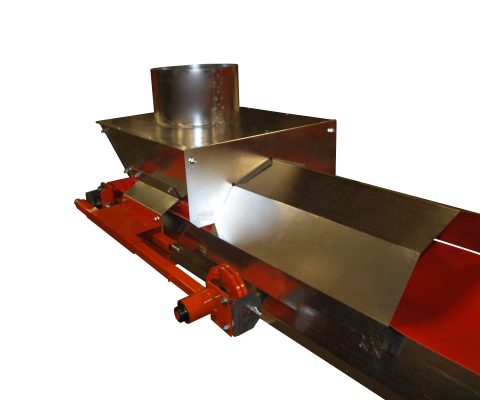 It eliminates spillage and centers feed on feeder belt. 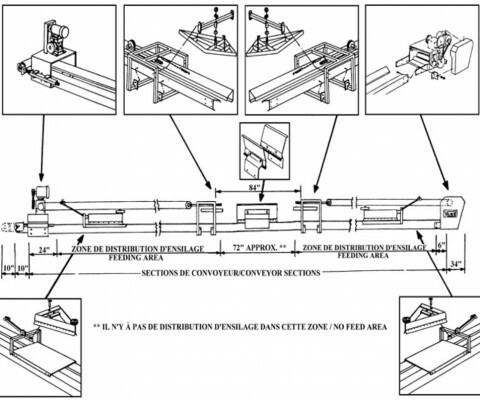 Simple belt tightener maintains belt tension. 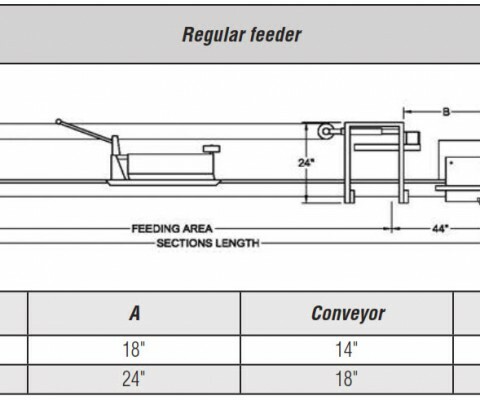 No matter the feeder kit, the Valmetal belt slides on a carriage driven by an industrial quality steel cable (impregnated with polypropylene or stainless steel) and the ration is plowed off the belt, on the desired side of the conveyor. How does the tripper works ? 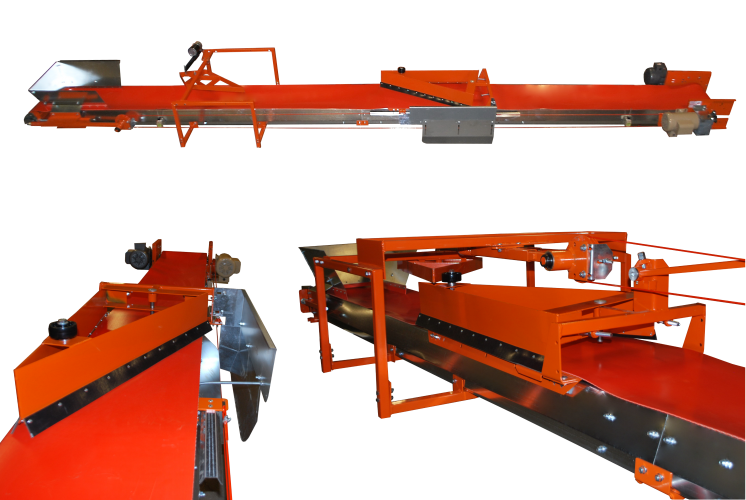 The plow, at every complete revolution, contacts the tripper and changes from one side to the other allowing to feed the opposite side of the conveyor.